The Dept of Education just released its new College Scorecard, which includes never-before-released data like earnings 6-10 years after leaving school, combined with previously open data like admissions and completion rates. The data reveals data about the school, not individual student data, with the goal of helping prospective students compare schools based on real data about outcomes. It was announced yesterday in President Obama’s weekly video address along with a wonderful behind-the-scenes look at the human-centered design process. 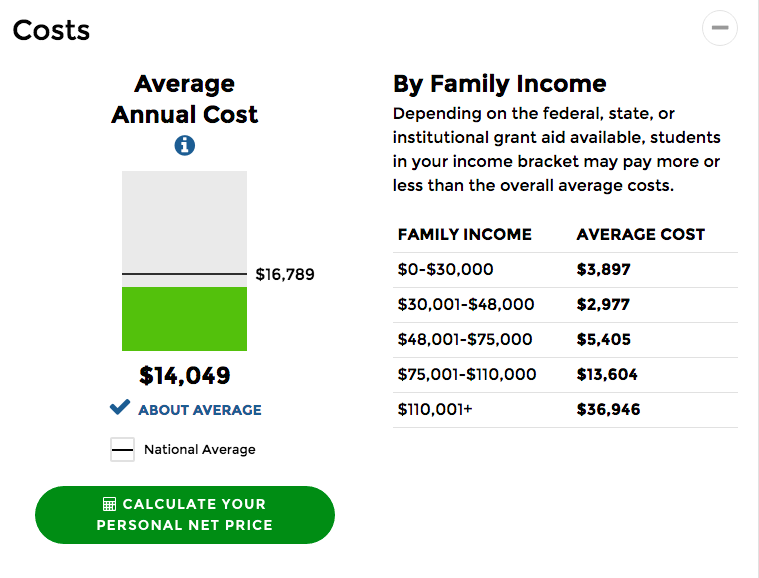 My primary role has been to make the data available in a way that made it possible to build such a lovely website and also for others to create their own tools and analysis. 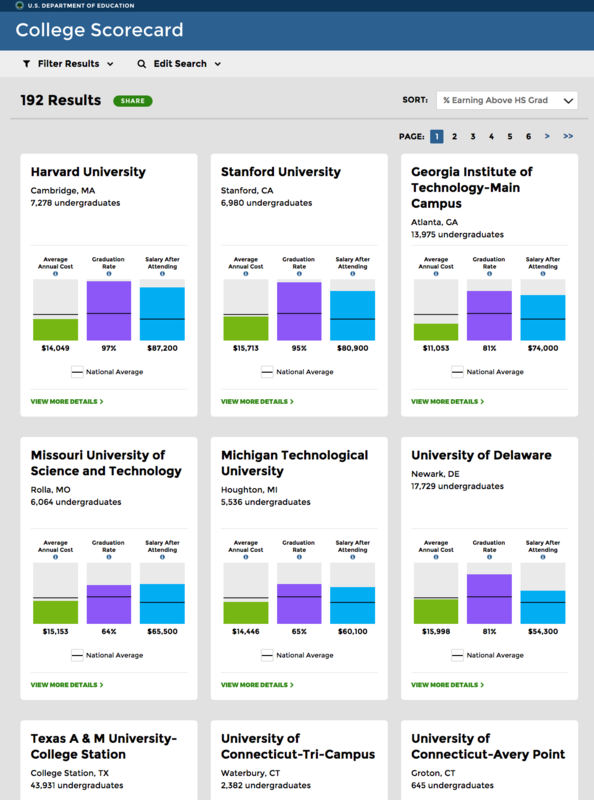 With the help of open source contributors and colleagues at 18F, I created the Open Data Maker project that powers the College Scorecard API. The really innovative work was done by the Department of Education, bringing together data from Treasury and IRS, combined with their previously open data from the Office of Postsecondary Education. In working on this project, I learned that the average high school graduate earns $25,000 per year. One way to look at the the value of the education offered by a particular school is the percentage of students who later earn more than those without a college education. 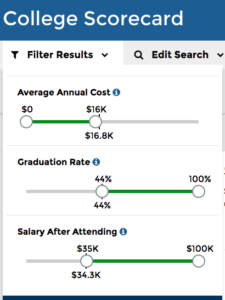 This was chosen as the default sort order (“% Earning Over HS Grad”).